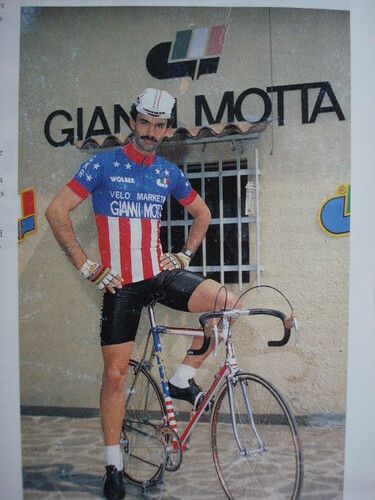 – Note the steel bike at the hero image atop this article pertaining to Velominati rule number 5(b): Eddy never complained. 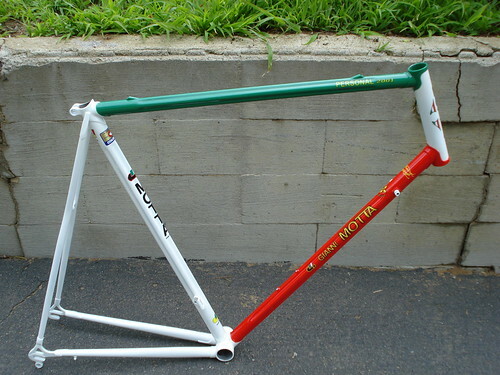 – Longtime readers may recall that about a year ago I decided to buy a handmade steel frame. 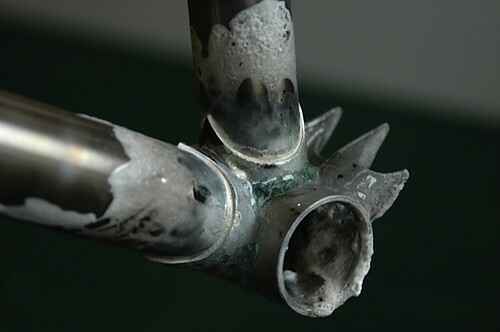 Part of it was curiosity about the process, and the other part of it was a wish to own at least one bike with a steel frame, steel fork, and parts that — if they were to break — would do so at a stately pace rather than detonating in one frightful blink. I decided to work with David Kirk. 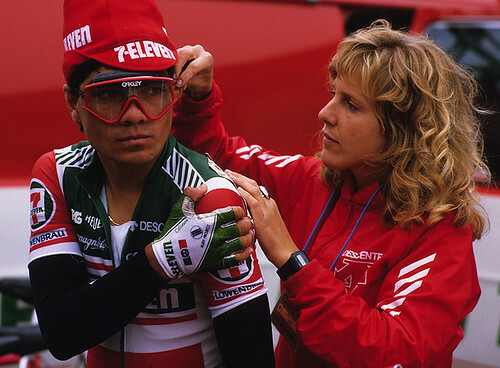 This was for a several reasons, including his long-standing reputation for being a geometry genius, because of the legend surrounding the bikes he built for 7-Eleven and Coors Light, and for the fact that he answers email promptly and with proper grammar. Perhaps most important was the fact that he refused to offer me any sort of ‘industry courtesy’ price break. No weakness in me is stronger than my attraction to people who say no. I paid my deposit a year ago, and Dave recently let me know that my time in the queue had arrived. I explained that I wanted a full-on race bike that could accommodate 28c tires. Outside of that, I had no predispositions. Dave told me that I had three big decisions to make. First was the choice of tubing size. His standard is ‘Oversize’ and he also offers ‘XL’ tubes for bigger riders, or for folks who fancy dirt roads. 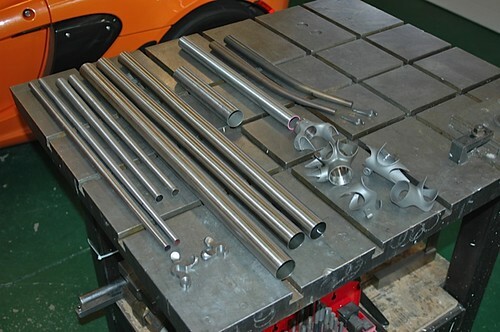 XL tubes are 1/8′ bigger in diameter, making them torsionally stiffer to allow the frame track better over rough surfaces. There’s tons of dirt in Park City, so I voted for the XL. 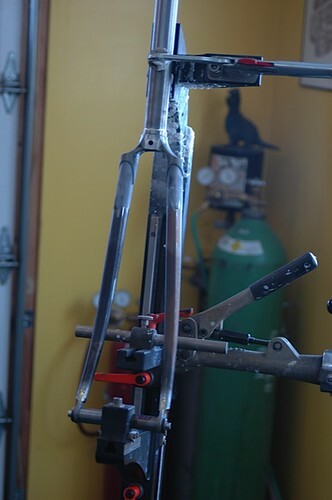 My second choice was construction method, fillet brazed or lugged. 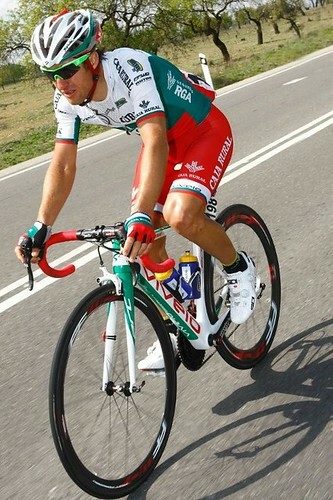 If my choice was fillet, then he would make the bike with Reynolds 853 tubing. 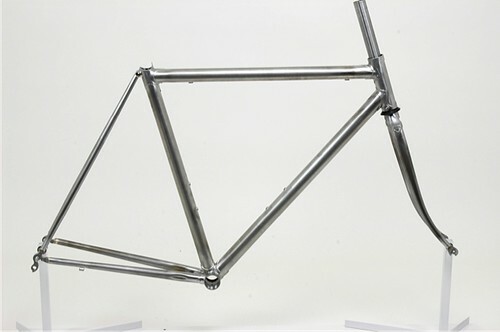 But counter-intuitively, lugged construction results in a lighter frame since with lugs, Dave uses the remarkably lightweight Reynolds 953 stainless steel tubing with silver brazing. I prefer the ornate look of lugs over the seamless appearance of a fillet frame, so the weight savings were icing on the cake. Lugged, it was. My final choice had to do with seatstays. Dave is known for his Terraplane seatstay option. 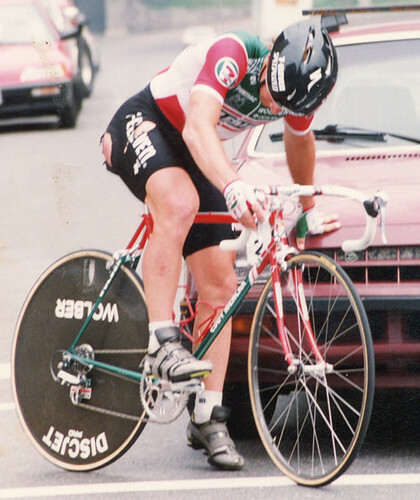 The idea with the Terraplane is that it allows a small amount of compliance that help keep the rear wheel stuck to the floor instead of bouncing or skipping when cornering hard or sprinting. He says that it does a good job with chip seal, expansion joints, frost heaves and other road imperfections. In short, it gives the bike a more ‘hunkered down’ and stable feeling on rough stuff. Was I tempted by the Terraplane? Heck yes. But a part of the fun with my new Kirk is the ultra-traditional vibe of the bike. The Terraplane subverts that aesthetic, so I made the choice of ‘normal’ stays. 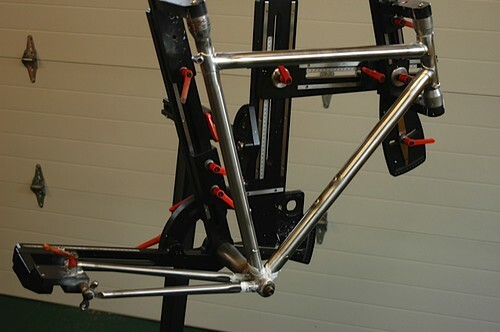 And now the frame is off to the almighty bike paint god, Joe Bell, where it will sit for 12 weeks in his queue. 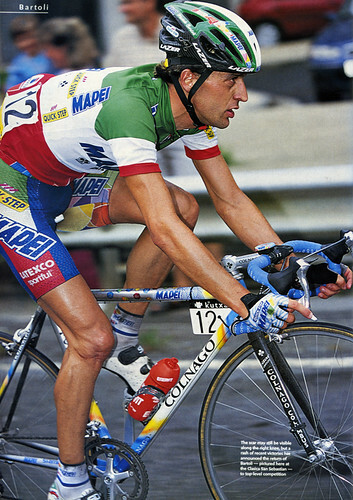 The final berg left to climb is the paint design itself. I have no idea what I want. I have a notion of colors — it’s something deeply inspired by the pseudo-Italian colors of a Gianni Motta I fell in love with back in the late 80’s. Except it wasn’t pure Italiano. Why? Look below at its use of yellow. That yellow is brilliant. 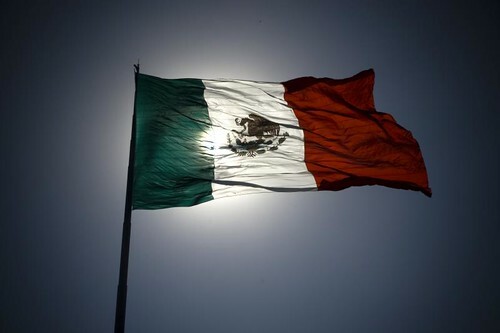 It makes it more Mexico than Italy, and I’m still in love with the colors. I’m just beginning to mood board the design. Will you help, please? Think red, white, green and yellow. Can you paste photos in the comments section below of anything you think is awesome? Please, pretty please help set the mood for what I expect to be a mind-blowing custom bike. 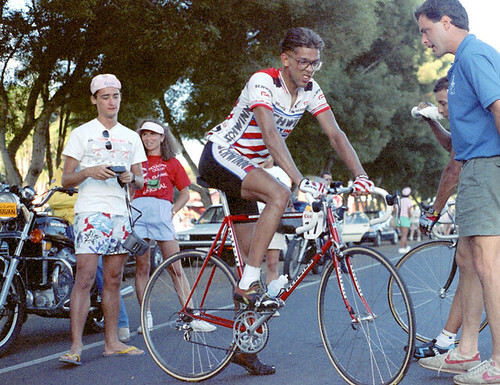 In fact, the person who uploads the best ‘mood’ photo — that is, the one that most inspires me — will earn a $50 Competitive Cyclist gift card.